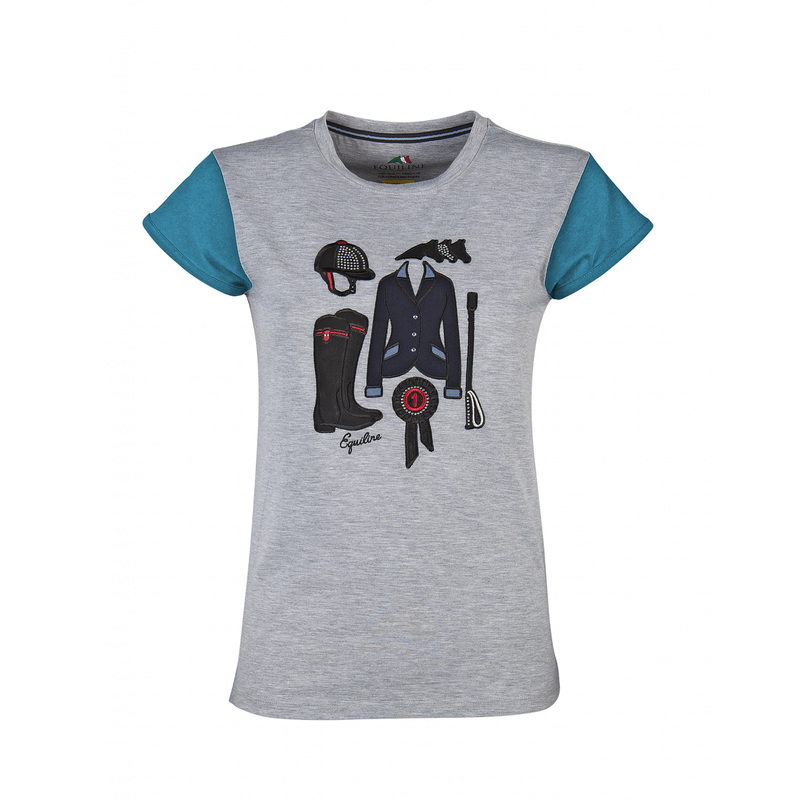 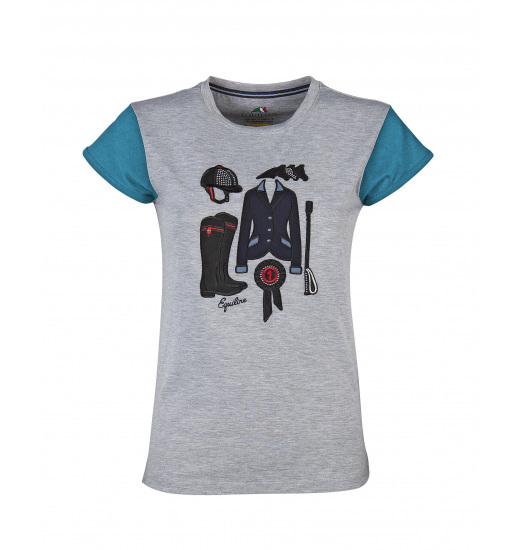 Dora girls' T-shirt for everyday use in the stable, but not only for little riders. 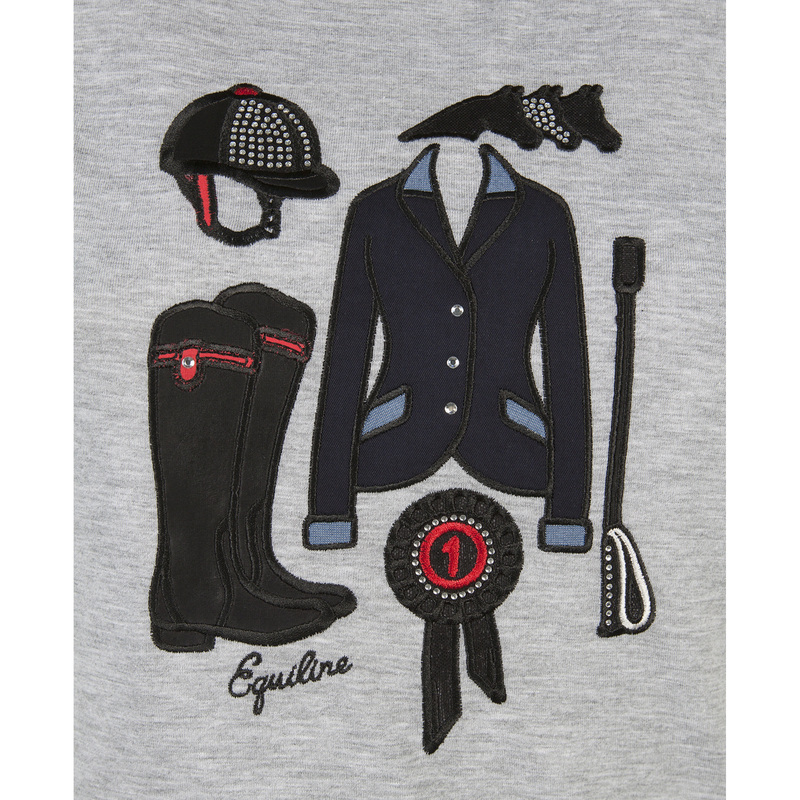 There are colourful patches on the front, each has a different equestrian motif on it. 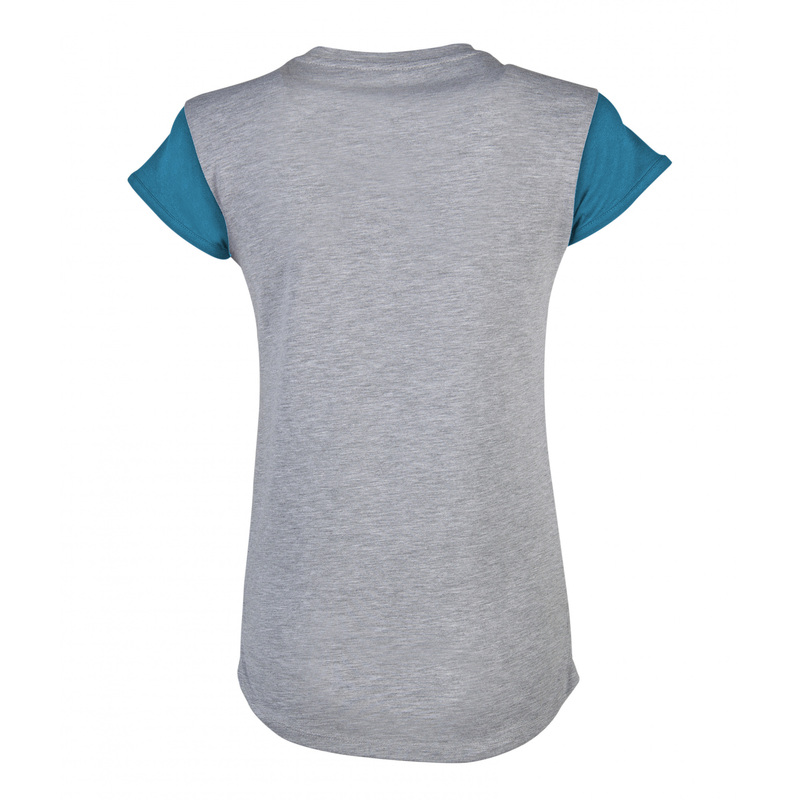 Sleeves of the shirt are made of contrasting navy blue material.